Both thise outfits are so cute! And who can resist a bomber jacket with flowers? Not I! Thanks, Adri! So, true - flowers = spring and hopefully it will be here soon! Thanks, Lauren! Glad to be a part of Mix It Monday . I have that bomber and I love it! It's so thick and comfortable! It looks warm with the quilted inside. I checked it out on your site and I love the way you styled it, too. LOVE that bomber jacket! the floral is perfect. found you via the link up. 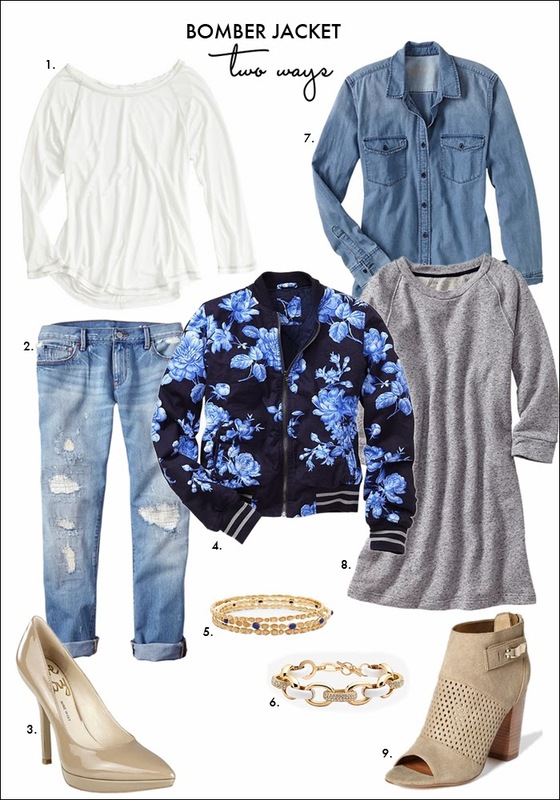 All of those pieces complement that bomber jacket, love the booties too! Hi Robin, Thanks for stopping by. I love those booties, too!